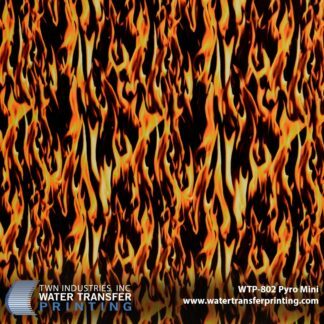 PRINCETON, FL January 6, 2015 – TWN Industries Inc., the leading water transfer printing supplier, announces the release of their Pyro-Mini film pattern. The new fire-inspired pattern is sure to please those in the hydro dipping industry who are looking for a realistic fire pattern. The flames’ sizing and placement have been designed to allow maximum coverage in small to mid-size profile parts. Due to its versatility, the applications for this pattern are numerous: game calls, custom modded controllers, motorcycle gas tanks, dashboards, helmets, cell phone covers, sunglasses, gun stocks, bows and much more. 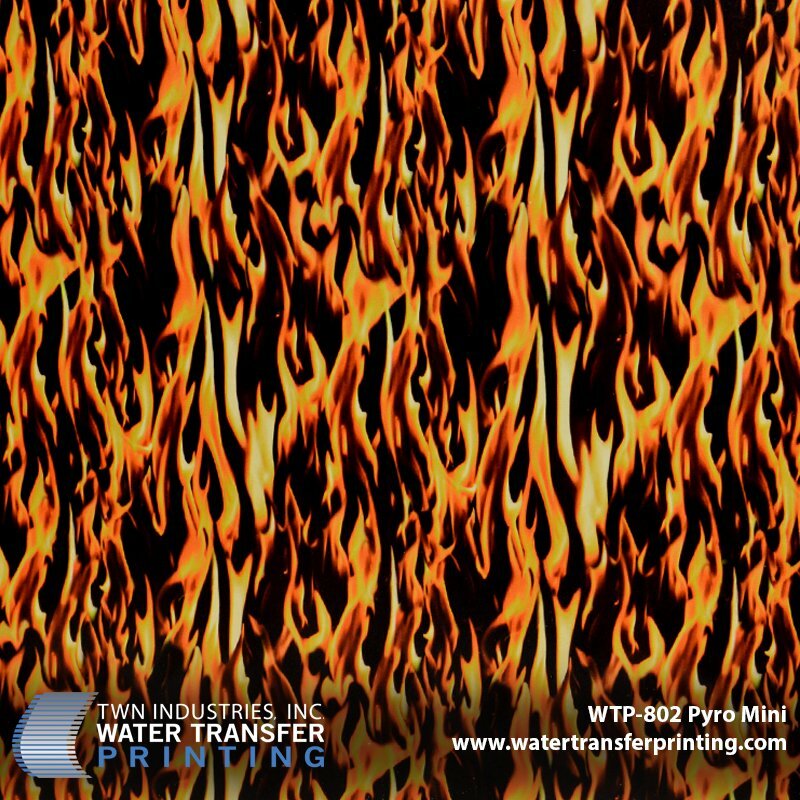 The Pyro-Mini Flame water transfer printing film pattern is available exclusively through TWN Industries, Inc. Three-meter accessory packs and production quantity film is available immediately. The part number is as follows: WTP-802 Pyro- Mini.